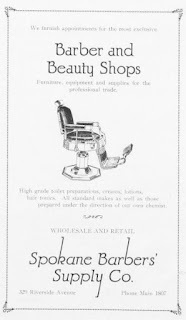 We furnish appointments for the most exclusive barber and beauty shops. Furniture, equipment and supplies for the professional trade. 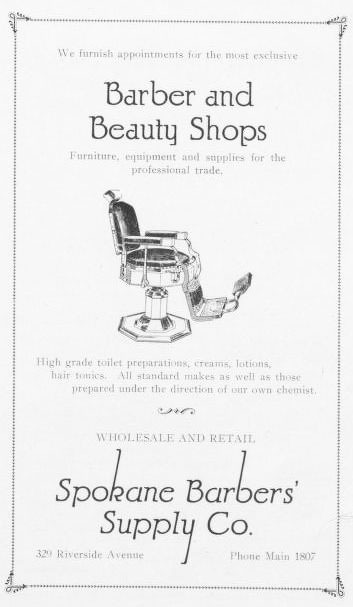 High grade toilet preparations, creams, lotions, hair tonics. All standard makes as well as those prepared under the direction of our own chemist. Wholesale and retail. Phone Main 1807.